Corsair’s new top-gaming system defies the odds and pushes the boundaries of previously designed small form factor gaming PCs. 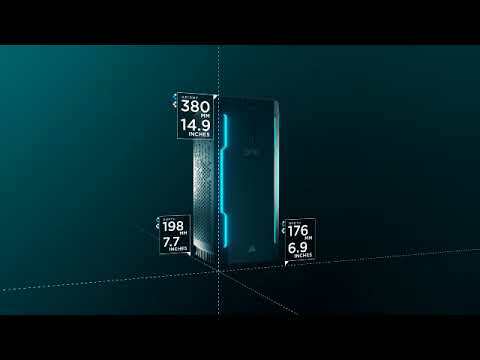 The pre-built Corsair ONE PRO PC is fitted with liquid cooling technology on both the CPU and GPU, it is as quiet as a whisper with less than 20 dBa of noise when idle and has been built with premium quality components, finished with a soft bead blasted aluminum chassis – plus it features an attractive subtle ambient light. 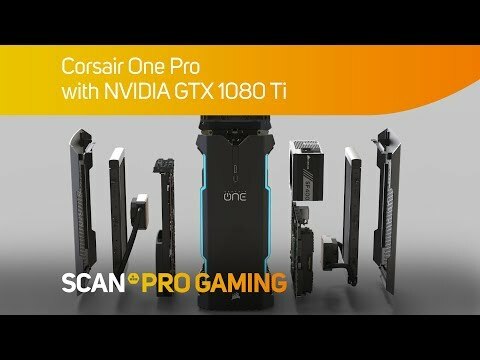 The Corsair ONE PRO has been built to deliver a true VR experience and immersive 4K gaming quality! Future-Proof Platform: Gone are the days of proprietary standards. 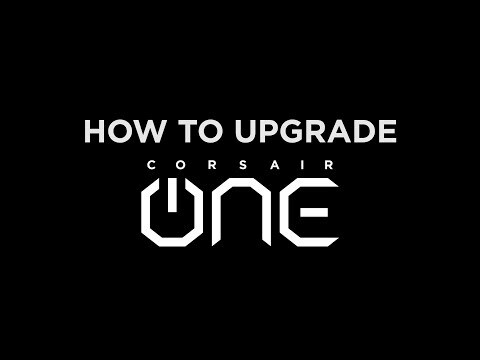 Virtually everything in CORSAIR ONE is engineered to be upgradable and hassle-free. Refined Elegance: Designed with premium materials and constructed with painstaking attention to detail, plus it boasts a fine bead blasted aluminum chassis highlighted by subtle ambient lighting effects. Small is Big: The unique, compact form-factor design lets you easily manoeuvre the Corsair ONE system, allowing you to game anywhere with no compromise in performance. Power of ONE: We’ve taken fast, quiet and small PC’s to a previously impossible level with fully custom liquid-cooling technology and a design to maximize cooling. Powerful Components: Delivers a true 4K and VR experience with the power of liquid cooling to both the GPU and CPU components, ensuring a cool PC even on those extended game sessions. Seen, Not Heard: Operating at 20 dBA at idle, CORSAIR ONE is quieter than a whisper and virtually inaudible in the living room or den environment. Experience top-end gaming with minimal noise.